You probably know this already: Managing change and managing risk are often two sides of the same coin: every change carries risk, and every risk portends a change if the risk event really comes to pass. Most of us know this also: Managing risk and change requires some understanding of -- and experience with -- the cognitive psychology that underlies each. Cognitive psychology is about mental processes, to include how people think, perceive, remember and learn. We understand a lot about the psychology of risk: read Daniel Kahneman's tome "Thinking, fast and slow" as perhaps the one best book ever written on the thinking mannerisms and processes that underlay our mental processing of risk. Kahneman certainly discusses the consequences of change = f(risk); and risk = f(change), but his main focus is on risk per se. Of the many ideas discussed by Kahneman, the one that is head-and-shoulders the most important for project management is prospect theory, the idea that our feelings about risk and change (i.e. about our prospects) are influenced by our current status (called the reference point by Kahneman). we really don't make decisions on the basis of expected value (impact x probability), thus invalidating most of what PMs put on a conventional risk register. We make decisions on some idea of "weight" x impact, where weight is almost never the same as probability. Favor certainty: We favor certainty over uncertainty and will thus pay many times the expected value of the risk to make it go away, thus validating point 1 (See: insurance as a risk response, and mitigating rare but calamitous impacts). Insurance is priced as weight x impact, but it's cost is probability x impact. The latter is always less than the former, thus generating profit for insurance. Thus, imaging that we think of impacts and probabilities objectively on an absolute scale is really quite wrong: we adjust to our current position, and we do this almost unwittingly. Consequently, the truly rational decision maker is really a fiction. I haven't found a comparable book on the psychology of change (comments invited! ), though the subject is discussed thoroughly in articles and white papers, and numerous books as well. Perhaps one must start with Festinger's coinage of his mid-1950's theory of cognitive dissonance: the discomfort felt when processing two conflicting beliefs, ideas, or directions. However, we do know that most of the principles of prospect theory can be reworded slightly and applied to change management. For example, if change is slow enough to be absorbed and internalized, it's like moving the reference point slowly: slow enough such that we don't really mourn a loss or fail to absorb an opportunity. (See "boiling the frog" scenario). And if change is too quick or too impactful, we just want it to go away! Changed requirements: There's a very small chance that in a few weeks/months there will be a baseline change to accept a modified deck of requirements to satisfy a new customer/market/sponsor. Although the expected value (chance x impact) is very small, we are willing to put down options now to protect the change opportunity. (An option is a down payment, sunk cost if you will, toward a change). The option, in the form of prototypes, analysis, temporary interfaces, or hooks, may cost many times the expected value of the change (risk), and the option is sunk cost -- not recoverable if the option is not exercised. Changed budget: In the baseline plan, work package manager A (WPM-A) has a budget of $50K; WPM-B has a budget of $75K. For any number of reasons, the operating plan at some point requires a different allocation of resources than the baseline: in budget change control, WPM-A gains $15K, and WPM-B loses $10K of his/her reserve, so that they both have $65K in the operating plan. Each has enough for their scope of work. B's change is 33% less than A's change, but B is really torqued, whereas A is very happy, and they are both at the same (new) reference point. They just got there differently. So, enough already. The points are obvious if you've read to this point: expected value drives very few decisions of material import; decisions rarely are made on strictly objective criteria; and there's not a lot of psychological difference between the biases that influence risk from those influence change. I give Mike Cohn credit for these witicisms! In this presentation, we hear about risk adjusted cost of debt (expected value), opportunity cost of debt, cost of debt service -- which Steve calls debt service cost ratio (DSCR), a term taken from financial debt management -- and the present value of cost of debt. In other words, there's a lot of ways to present this topic to the business, and there's a lot ways to value the debt, whether from point 1, 2, or 3 from the prior list. One point well made is that technical debt often comes with an "interest payment". In other words, if the debt is not attended to, and the object goes into production, then there is the possibility that some effort will be constantly needed to address issues that arise -- the bug that keeps on buging, as it were. To figure out the business value of "pay me now, pay be later", the so-called interest payments need to be factored in. One by itself, or a fleet of them, might be quite helpful on any number of projects, especially construction, and especially construction in a high threat environment. One might think immediately of pipelines and buildings and bridges, but also buzzing about large antennas and denied areas like biohazard project facilities or demolition sites (after a disaster). Since each robot is individually small so as to maximize agility, to do big tasks it necessary to scale up and work as a team. Now here's an interesting sets of physics: as you scale up (use robots in a cooperating team), the apparent or synthetic radius increases. (Not unlike a synthetic aperature used in radars and other optical devices.) However, agility goes down exponentially, in part because of increased inertia. Does that sound like a real agile team of humans? Indeed, as you add team members, inertia increases and agility is inhibited. I don't think I want to go so far as to put mathematics to the human situation, but it sure predicts the robotic situation. The application is obvious: for denied areas, and especially for denied areas with physical unknowns, self mapping is possible from sensing the environment. Roland Deiser and Sylvain Newton have an interesting article on the McKinesy Quarterly (free registration required) about the skills leaders and managers should acquire re social media. First, they divide the skill set into personal skills and strategic organizational skills. Then they subdivide these two categories. Now, the interesting part is some of the attributes or tasks that they assign to each of these six. For example, the Producer should work on technical skills so as to develop authenticity, artistic vision, and storytelling when engaging with social media. The Architect should leverage/apply social media functionality/capability to develop a balance between vertical accountability and horizontal collaboration. Each of the other four skills have similar annotation and explanation. If one could get all together, you'd probably have a very savvy skill set for the social media effects on the enterprise. The good news for the PMP crowd is that there are not many differences between the the two standards since ISO used the PMBOK as the foundation for 21500. A few things are added, and a few things are rearranged, but it's largely the same content (so it's reported; I've not read 21500). For instance, Stakeholder Management has been added as a knowledge area. But the 42 processes in the PMBOK have been consolidated into 39 in 21500. I'm way down the food chain on this one, but I'm indebted to Matthew Squair for pointing his audience to the Green Chameleon for a discussion of the Don Rumsfeld Ignorance Management Framework. Now, if this isn't enough, there's a more sophisticasted model with a 3x2 matrix posited by Sohail Inayatullah in an article at metafuture.org. Ignorance management! Why wasn't I told about this earlier?! The problem with "being led by change" is that the change message -- no matter how communicated -- is a lagging indicator of decisions already made. Thus, the message is just catching up with, or perhaps even trailing behind, the momentum of the change. Consequently, to get into a leading -- rather than being led by -- posture requires not only getting ahead of the message, but sorting out un-communicated decisions already made and in the queue. If you are in the room and at the table when the change decisions are being made, you're not being led... you're involved and (hopefully) participating even if you're on the back bench. But if you're being led (even if by the market, political pressures, etc) you're not in the room and there is a time lag. If you are a manager, then you usually seek to minimize the lag and get as much running room as you can. (some call it "change runway") This means situational awareness, seeing things from multiple vantages in time and space, using your network, being careful about rumors, and communicating frequently with your subordinates who have an even longer lag and less awareness. However, this only manages the messenger process; it doesn't change the message. How you deal with the message itself may make you a hero or a heal. Each circumstance you will deal with will be unique. 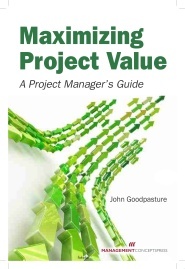 My latest book -- "Maximizing project value: a project manager's guide" has just been published. You can get it at any online retailer in paper; it's also in KINDLE form and google eBooks. His thinking is that the term "tech debt" has become so much of an industry meme that it's lost its intended focus. 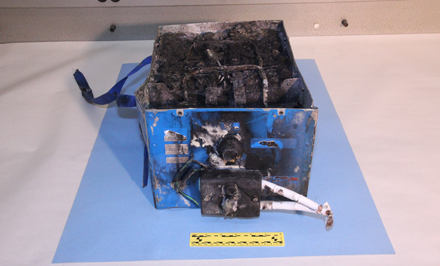 For his money, the stuff in the box is the stuff that ought to be in the technical debt backlog. And, by the way, that's another issue: too often the backlog is just the customer facing stuff; that way under states what a real project takes. Not only the non-functional stuff needs to be integrated into the backlog and resourced, but so also the technical debt, and the other stuff, as yet un-coined, that's outside the box. Philippe Kruchten is a professor of software engineering in the department of electrical and computer engineering of the University of British Columbia, in Vancouver, Canada. He joined UBC in 2004 after a 30+ year career in industry, where he worked mostly in with large software-intensive systems design, in the domains of telecommunication, defense, aerospace and transportation. Some say that an enlightened business/agency/enterprise is one that provides the freedom to make mistakes. Recently, Quantmleap had a posting on this very topic. Vision is one we all know about: foresight to a differentiated future, presumably differentiated in such a way that the business is more competitive, public policy is more enlightened and effective, or the scorecard is demonstratively more favorable. Jurgen Appelo has some decent advice in his blog post "Don't let Scrum make you fragile". Of course, Appelo's taking some of Nassim Taleb's philosophy, as expressed in his new book "Antifragile", and porting it to the Scum domain. But that's ok. I agree, that's a valid porting. Now, for my own part, I experiment regularly with driving different routes to get somewhere. With my trusty GPS mapping app I no longer get lost, though I do sometimes wonder why I'm wandering about where I am. Nevertheless, it's stood me in good stead: when there's a traffic disaster, I'm equipped to not follow the herd. In all aspects of life we experience the effects of getting stale from repetition, and we unwittingly risk the hazard of not knowing or experiencing alternatives, especially before there are needed on short notice. That's the essence of antifragile: to be able to absorb shock -- up to a point -- without structural failure. I made the top 20,000,000 on linkedin in 2012. A unique honor, to be sure! By the way, if you missed the news, slideshare was bought by linkedin. There are some interesting integration functionalities between the two apps that did not exist before. Just use the Help or Account Settings in either app to see what's possible. Of course, we may only be able to put down an option to hold the right to take the opportunity at a future time, perhaps a little off the flood tide, but nonetheless a good deal. The idea is to put a little down now to preserve the right but not the obligation of doing something later. That is the situation with event chains and rolling wave plans. Anything you do or put down might be a throw away if you do not exercise the option. So, your option is sunk cost; it should be a small investment (money or other) compared to the opportunity cost of doing something else.